Let’s start with the European Parliament, which in the early days of European integration was marginalized, powerless, and overlooked – a place for has-beens and never-weres. But over the last decade and a half, the Parliament has worked hard to secure more power, elbowing its way into the formal legislative process, securing for itself oversight authority, and even inserting itself into the process of selecting the European Commission president. But the way the European Parliament wields its newfound power may be about to change, following the next EU-wide election in June 2019. So far, traditional center-right and center-left pro-European parties have dominated it, with more extreme parties never really pulling the institution far from its center of gravity. Since the last European elections, however, the continent’s politics have undergone a profound transformation, with 41 new parties winning seats in national parliaments since 2014. The European Parliament is almost certain to become significantly more fragmented – a consequential development, given the power it has recently accrued. The same fragmentation is set also to weaken the European Commission, with commissioners from at least four countries – the Czech Republic, Greece, Italy, and Poland – set to be appointed within a year by Euroskeptic governing parties. Speculation about who will succeed Commission President Jean-Claude Juncker has already begun; ultimately, however, the answer will probably make little difference. Juncker’s feckless “last-chance commission” will be succeeded by a “next-chance commission” – one that may fall even more short of the mark. 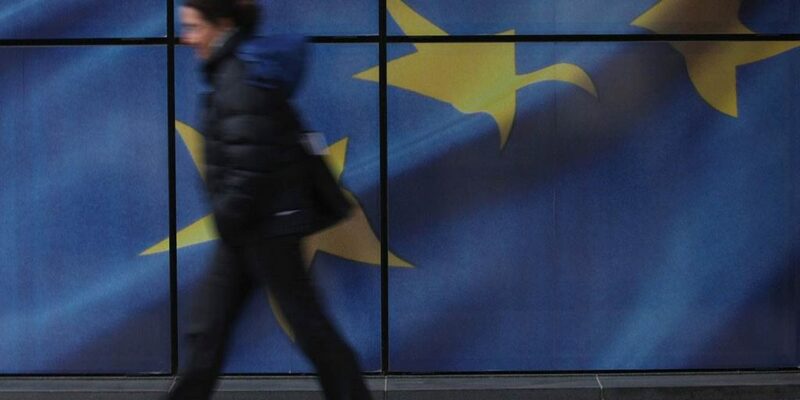 After all, since the global financial crisis erupted in 2008, it has become starkly apparent that the real power in the EU lies not in the transnational precincts of the Commission, but in the intergovernmental corridors of the European Council. This trend is highlighted by the German government’s reported desire to put a German – perhaps economy minister Peter Altmaier or defense minister Ursula von der Leyen – at the head of the Commission, in order to bring the institution closer to Berlin. When it comes to the Council, the outlook is also bleak. The national leaders who oversee it lack the vision, commitment, or strength to set the direction for the European project. German Chancellor Angela Merkel, Europe’s leading power for the last ten years, has been weakened. French President Emmanuel Macron has lost momentum. The United Kingdom is on its way out. Italy, Poland, and Hungary are openly skeptical of Europe. Spain has an unelected minority government, and the Netherlands is paralyzed by right-wing opposition. In short, none of the EU’s institutions seems to be in a position to respond to the serious challenges they face. This brings us to one of the most recent additions to the EU structure, created by the Treaty of Lisbon: the European Council president. The importance of the European Council president is often overlooked. But, as the first holder of the position, Herman Van Rompuy, demonstrated when he held the post, it can be integral to progress. During the euro crisis, Van Rompuy, working largely behind the scenes, marshaled support for badly needed measures among the member states and the three cornerstone EU institutions. Not everyone can carry the weight of the position. An effective European Council president must have a temperament that enables him or her to move a diverse group of powerful people toward mutually beneficial outcomes, all without taking the spotlight. Van Rompuy’s higher-profile successor, Donald Tusk, is a good counter-example. The right European Council president can act as a rudder for the entire European project. But the wrong one will leave the EU directionless at a moment when united action is urgently needed. Preventing that outcome should be a top priority for Europe’s leaders.